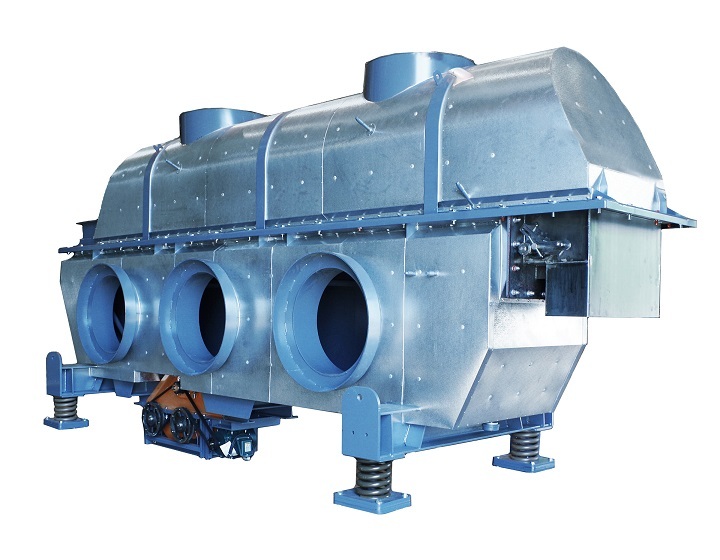 An industrial dryer is an essential part of most material processing procedures, but they are typically a large capital expense and can last for decades. This makes picking the best dryer for your processing needs especially important since picking the wrong dryer can have long term negative consequences for both material quality and company finances. With numerous types of industrial dryers available, all with their own unique pros and cons, this can feel like a daunting task. The most important part of choosing the right dryer for your needs is to test material on test drying equipment, ensuring that the tested process takes the wet beginning product and produces a dry final product at the quality and requirements you need. Before it even gets to testing though there are six things to take into consideration with narrowing down what type of drying system you should be considering. The starting point should be to take a look at the size of the individual particles within the material being dried, and the density that the material has when in the amount needing to be dried. A fine powder will require a different drying method than the same size material as a sludge, and large materials will have their own requirements. Additionally, if there are different sizes within the material, or there are significant fines that will be removed during the drying process, this needs to be taken into consideration. The density of the material will determine how it moves through the dryer and whether anything needs to be done to help it convey. This may seem obvious, but it is commonly overlooked as something to consider when looking at drying methods. You will need to know the starting moisture percentage as well as the goal ending moisture percentage that the dryer should be reaching. Testing can help to determine the weight differences between the wet and dry percentages, and this water weight to be dried is then used to size the dryer. If the percentage is off by even a little bit it can cause the goal water weight to change dramatically, resulting in an inefficient and incorrectly sized dryer. It’s also helpful to know how the material is holding on to the water that is needing to be dried. If the moisture is surface water but not absorbed into the material at all, then it will need a different method of vaporizing external moisture than a particle that has internal moisture that needs to be diffused from the inside out to dry thoroughly. This will also help to determine whether any pre-drying needs to be added to the processing line. Heat is used in most drying methods, but some materials react to heat once it reaches a certain temperature. In some products it can cause a chemical reaction, especially if the liquid being dried is a chemical solution. Other materials may melt or burn if they reach a certain temperature or are exposed to high heat for too long. It’s also possible that it will only react negatively when exposed to a certain type of heat source but will be fine with other heat sources. These reactions are important to know because they will determine if the dryer needs to be larger and slower to effectively use a lower temperature to dry the determined moisture, or if a short residence time at a high heat is the most effective method with the least product reaction. It will also let you know whether direct or indirect heating methods will produce the best final product, narrowing down the list of potential dryers. How the material handles both while wet and while dry is important to think about when deciding on a dryer. Some materials are sludgy or sticky while wet and need to be forced through the dryer to keep material from plugging and backing up the line. Nonstick surfaces can also be used, and weirs or paddles can be built in to keep materials flowing as needed. Clean in place fittings can also be incorporated to keep the system clean and remove any potential build up. The fragility and abrasiveness of the material also needs to be considered when planning a dryer. Some drying methods move the material roughly and can cause the material to degrade or break so a gentler method of drying should be pursued. Some materials are very coarse and will quickly wear through surfaces, reducing the lifespan of the dryer or causing maintenance issues as well as quality control issues with the material if it not reinforced or made with abrasive resistance in mind. It’s important to make sure the dryer is sized correctly for the production amounts that will be expected and to know whether you plan on running continuously or doing batches. If the dryer is undersized it will clog and suffer from upset conditions when more material is forced through it, causing the product to not be properly dried and suffer other quality control issues. This will also cause the dryer to burn out sooner than if it was properly sized. If the dryer is too large for the actual production size it will be a waste of energy and fuel to run it and depending on the product it could cause it to dry too much or too quickly and potentially burn. Where in the facility the dryer will be installed is also important but often overlooked until far too late. Is the area long but has short ceilings, or is it tall with a small footprint? Can it withstand the weight of heavy equipment and vibratory equipment? Is there space for proper venting and area for the ductwork and baghouse filtration if it’s needed? Does the material need to be conveyed while being dried? This is also the time to look at the processing line before and after the dryer to determine if there are any potential issues. Will it be entering the dryer in clumps or dump loads? Is it coming out of the dryer onto a conveyor that is designed for the dry material? An important part of purchasing an industrial dryer is of course the cost, both the upfront capital expense of the purchase as well as the cost of operation throughout its lifespan. Some options may be less expensive up front but operate less efficiently and cost more to operate than a more expensive but efficient dryer. Types of fuel being used for drying need to be considered, but pricing for that needs to look at long term trends and predictions and should not be based on current fuel prices. The return on investment goal for the equipment should be figured out early in the planning and research stages, which will help with knowing what to look for in an industrial dryer and what efficiencies you should be requesting. 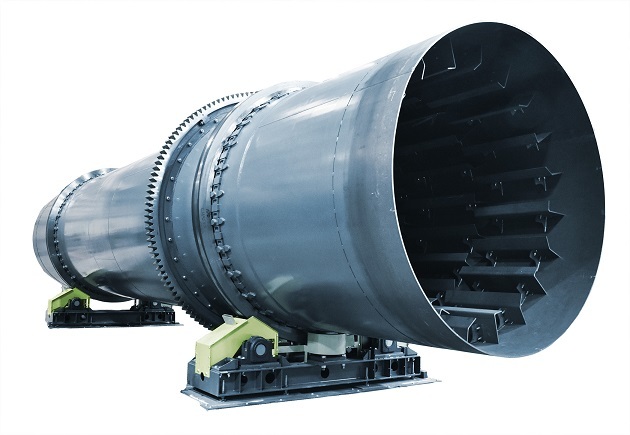 Once you have the answers to these questions you will be able to narrow down your search for the perfect industrial dryer and be positive that your decision will be the correct one. Michael Entwistle is marketing director, Carrier Vibrating Equipment, Louisville, KY. For more information, call 502-969-3171 or visit www.carriervibrating.com.